Maintaining all the flavour of the hebridean, but more of it and with an added sweetness from the Southdown! 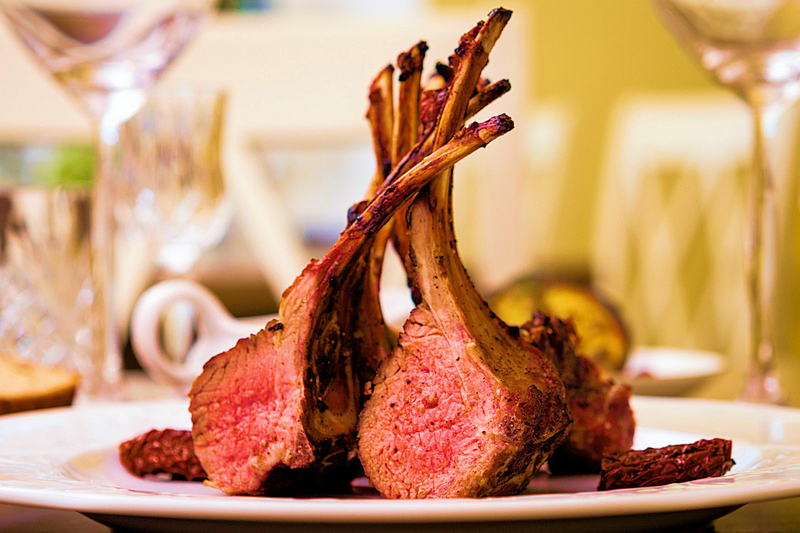 Favoured by discerning chefs and high quality food stores; Hebridean X Southdown lamb & hoggett is an exceptional and delicious meat which has won numerous Taste Awards! but sadly there are a minority who simply don't care and who carelessly allow their dogs to run free around livestock causing untold damage, both immediate and delayed, to both sheep and their lambs. Dog attacks on Sheep are increasing!? Shepherds around the world continue to suffer the fear, stress and heartbreak caused by irresponsible dog owners allowing their dogs to chase and attack sheep. For pregnant ewes this can be fatal! Dogs have a natural instinct to chase.. It is every dog’s instinct to chase, even if they are usually obedient and good with other animals. 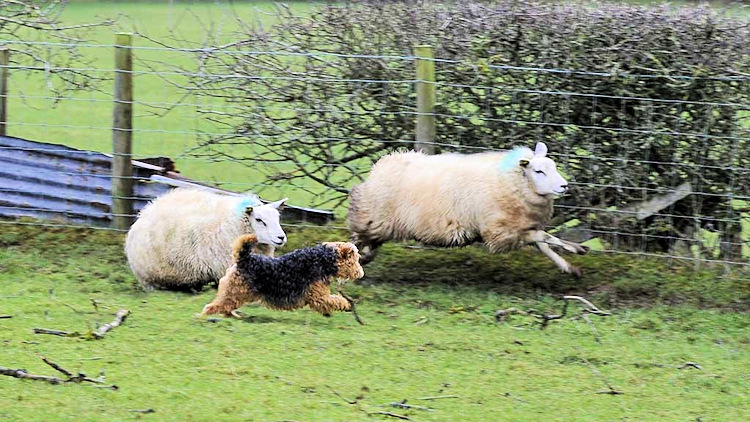 Chasing by dogs can do serious damage to sheep, even if the dog doesn’t catch them. The stress of worrying by dogs can cause sheep to die and pregnant ewes to miscarry their lambs. 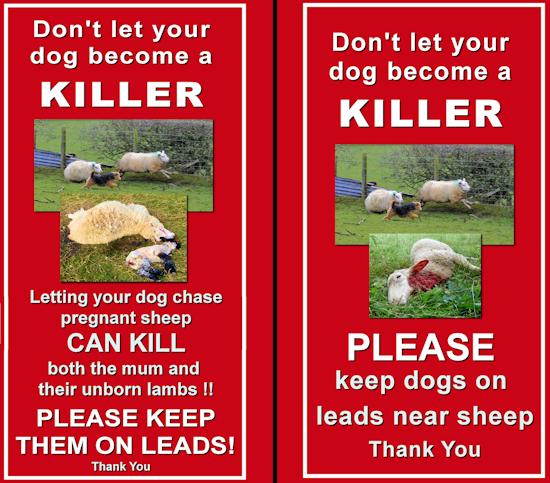 Sheep fleeing from dogs are often killed or seriously injured by their panicked attempts to escape. 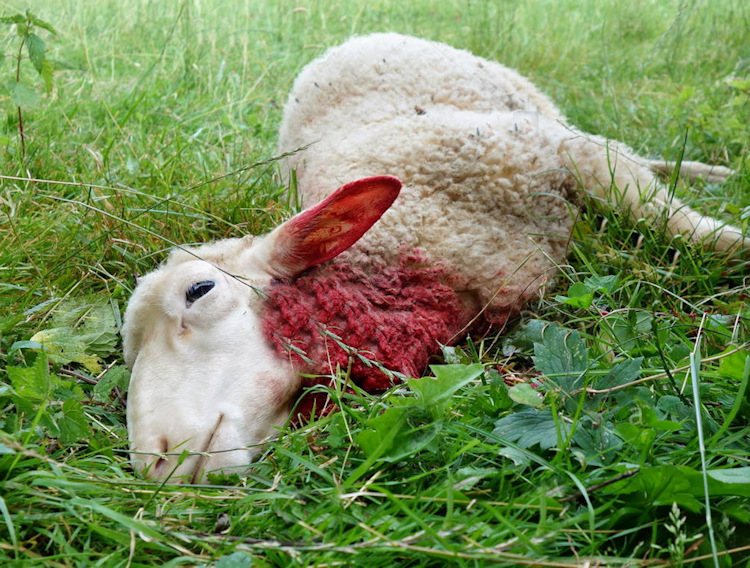 Dog bites can cause death in sheep or necessitate them being put down at a later date, or at best?, create considerable veterinary bills for farmers. It is an offence to allow a dog to worry or chase sheep. Worrying includes attacking or chasing sheep and farmers are legally entitled to shoot dogs if they are endangering their sheep. It is vital that you keep your dog on the lead around livestock, even if you can usually trust it to come to call. If you live in or near a farming area, you must make sure that your dog cannot escape from your property, as it may find its way onto land containing sheep. Under the Dogs (Protection of Livestock) Act 1953, if a dog worries sheep on agricultural land, the person in charge of the dog is guilty of an offence. The Act considers sheep worrying to include attacking sheep, chasing them in a way that may cause injury, suffering, abortion or loss of produce, not on a lead or otherwise under close control in a field or enclosure in which there are sheep. 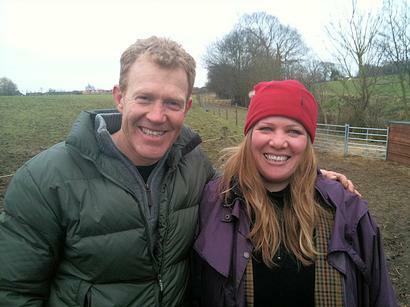 We were thrilled to welcome Adam Henson of Adams Farm - BBC Countryfile to our smallholding at the beginning of February to gain some valuable expert knowledge and advice from someone who has been around Rare Breeds since he was born. Adam's Dad, Joe Henson was of course the Founding Chairman of the RBST and so Adams love of Rare Breeds was inevitable. It was a fantastic day and extremely good fun with Adam, his cameraman, producer and sound man and what a lovely bunch of guys!! Adam is as lovely and genuine as he appears on telly. His advice that day again boosted my coinfidence in caring for my animals correctly, it wasn't for the first time and it certainly won't be the last. The Adams Farm programs covering sheep care and especially lambing have been an invaluable workshop for smallholders like ourselves. Showing us just what to do, just when we need it!. 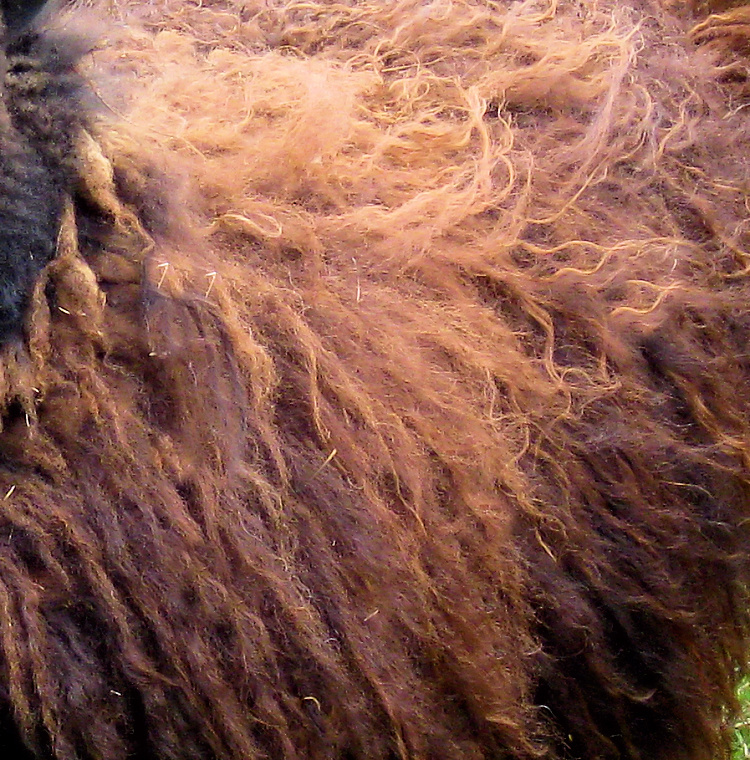 Rare Breed Fleeces available - Visit our Wool / Fleece page for details. Growing Fast, Mums doing a fabulous job, especially Storm, one of our Hebby ewes who had TRIPLETS this year!! very rare for a Hebridean but she's coping brilliantly with all three lambs doing really well by following her clever feeding routine. Its so amazing to watch: She keeps one by her nose while the other two suckle, after a short time, she walks forward a few steps to create a space and pushes the one at her nose round to take its turn suckling... so smart!! Love my Hebridean girls! We have been very excited to have received orders from the US and Europe this year for our fleeces. Rare breed wool is becoming very popular with spinners all over the world and we are so proud to have sent fleeces to countries including: America, Australia, New Zealand, Hawaii, Canada, Switzerland, Sweden and Finland. I would like to let as many people as possible know about an early outbreak of fly strike. We breed Hebridean and Boreray sheep, which are normally more resistant to fly strike but have had two ewes affected due to the unusually warm weather. Fortunately we caught it early and all our sheep and lambs have now been cleaned, treated, dagged and sprayed but we’ll be keeping a close eye on them. I just wanted to make sure other breeders were aware of the problem starting so early this year so that they can check and treat their sheep early too if necessary.